Home Tags Posts tagged with "captain francesco schettino: “we were last to leave the ship”"
Costa Crociere, the company operating Costa Concordia cruise ship that capsized after hitting rocks off western Italy on Friday says Captain Francesco Schettino may have “committed errors”. Captain Francesco Schettino appears to have ignored the firm’s emergency procedures “which are in line with international standards”, Costa Crociere said in a statement. Francesco Schettino is suspected of manslaughter, but denies wrongdoing. “It seems that the commander made errors of judgement that had serious consequences,” the statement by Costa Crociere said. Francesco Schettino has been detained on suspicion of manslaughter. The chief prosecutor said the vessel had “very ineptly got close to Giglio”. But Captain Francesco Schettino has said that the rock it hit was not marked on his nautical chart. He also denied claims by prosecutors that he left the Costa Concordia before evacuation was complete. “We were the last to leave the ship,” Francesco Schettino told Italian TV. 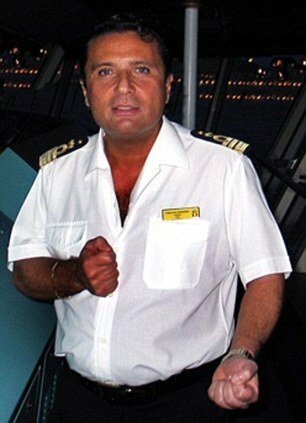 Captain Francesco Schettino, 52, has worked for Costa Cruises for 11 years. First officer Ciro Ambrosio has also been detained.